A unique three piece tumbled paver to give your project a timeless, classic look. A: 4 1/8" x 2 1/2" x 8 1/4" B: 6" x 2 1/2" x 8 1/4" C: 10 1/4" x 2 1/2" x 8 1/4"
The eternal appeal of ancient Rome's stonework can be placed in your backyard this year by using Barkman Roman Pavers. 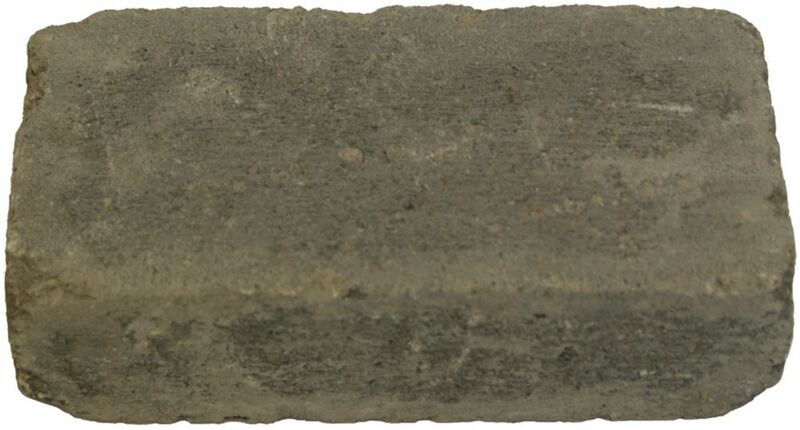 These tumbled old aged style bricks are ideal for any patio or feature area. These pavers come in a variety of blended colours for a wide range of appearances and also come in different sizes to truly create a random pattern similar to old Rome streets. The eternal appeal of ancient Romes stonework can be placed in your backyard this year by using Barkman roman pavers. These tumbled, old aged style bricks are ideal for any patio or feature area. These pavers come in a variety of blended colours for a wide range of appearances and also come in different sizes to truly create a random pattern similar to old Rome streets. Barkman Holland pavers have the bold simplicity of Northern European style and are great for any walkway, patio or driveway. Complete with a wide variety of colour to choose from, Holland pavers are easy to install and can create many different patterns. Heritage Paver - A - Autumn Blend A unique three piece tumbled paver to give your project a timeless, classic look. A: 4 1/8" x 2 1/2" x 8 1/4" B: 6" x 2 1/2" x 8 1/4" C: 10 1/4" x 2 1/2" x 8 1/4"